La Costa de la Luz is the atlantic part of the southern spanish coast and beaches, in the provinces of Huelva and Cadiz. Located between the famous Costa del SOL on the Mediterranean and the Algarve coast in Portugal, it was also known as the "forgotten coast". Very nice and quite romantic apartment at only 20 metres from the Alameda de Hércules, the biggest open space in the old center of Seville with a lot of trees, bars and terraces. Great roof terrace to enjoy the sun! Shops nearby and main monuments at only 10-20min walk. The Alameda de Hércules is a vast open space in the very center of Seville, originally surrounded by Alamo trees, that give the place part of its name - Alameda. Madrid is a Region, a Province (the only one of the region) and, of course, the capital city of Spain. It is a destination as well as a million other things. Toledo is one of the Spanish cities with the richest collection of monuments. It is known as the "city of three cultures", due to its former occupation by Christians, Arabs and Jews.The city has a rich artistic and cultural heritage preserved behind its walls in the form of churches, palaces, forts, mosques and synagogues. This great diversity of artistic styles makes the old capital of La Mancha a real open air museum. The city has also been declared a UNESCO World Heritage Site. The city of Cáceres is an urban settlement dating back to the Middle Ages and it contains one of the most comprehensive collections of Renaissance architecture in the world. For this reason, the city was declared a World Heritage Site by UNESCO in 1986. Arenal in Seville, Spain provides the perfect opportunity to catch a bullfight, rent a pedal boat, spend a night at the opera, or explore the naval history of Seville inside the landmark Torre Del Oro and many more. Triana, named after the emperor Trajano is on the other side of the Guadalquivir. The western shore of this river unites the old and new part of Seville. Since Roman times ceramics have been an important part of Triana’s industry. 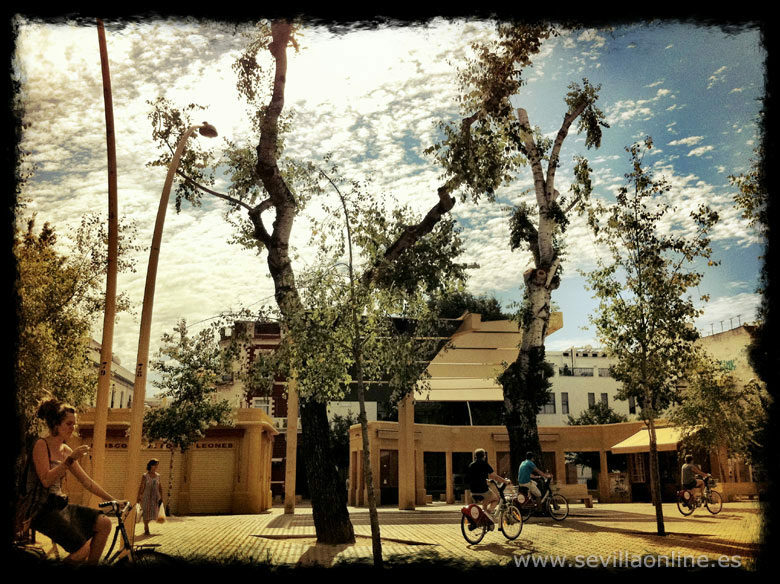 Santa Cruz is the most famous district of Seville. It's justified for its location at the south of the historic city, next to the walls of the Alcazar, surrounded by the main monuments of the city and for its caracteristic narrow and romantic streets. Escape the tourist track and discover a typical Sevillian district by walking through La Macarena. The Calle Feria is full of activity throughout the morning and has a market selling fresh fish and vegetables. In the afternoon the people of the area can be seen enjoying a drink and eating tapas in the local bars. The Gold Tower of Sevillle was one of the last contributions from the Almohade period in Seville. It formed part of the last wall of defence that ran from the Alcázar Palace to the river. Valladolid is the capital city of the province of Valladolid and of the autonomous community of Castile and Leon. The city has a great communication network, with its own international airport (Villanubla) and excellent train and motorway connections leading to Madrid, the northwest of Spain, France and Portugal.